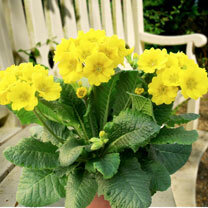 A pure yellow type with the flowers sitting nicely above the deep green foliage. 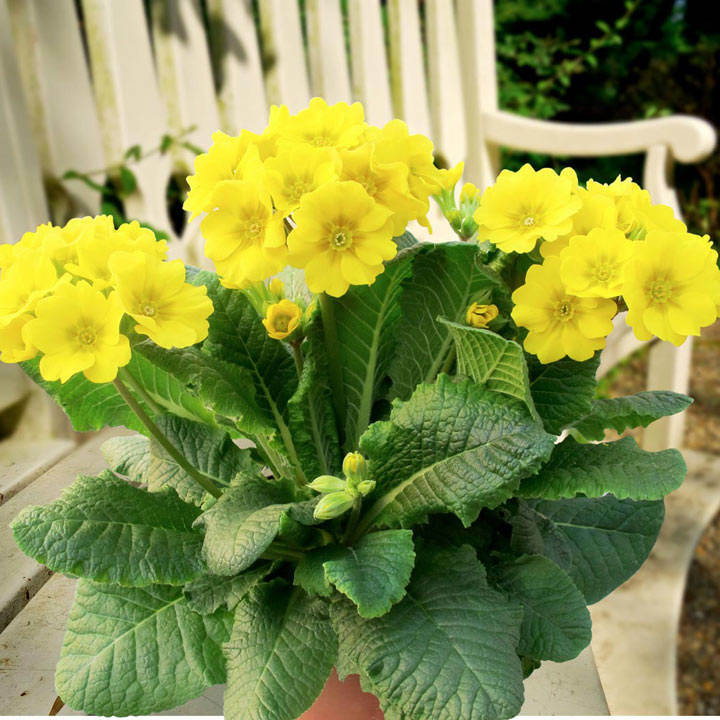 Similar to the favourite Primula veris or cowslip but this new form flowers for longer from February to March and has much larger and brighter flowers. Height 20-30cm (8-12"); spread 20-30cm (8-12"). Supplied in 9cm pots.